Elizabeth Cochran was one of the first “stunt journalists,” going where no woman had gone before. Too poor to afford much of an education, she dreamed of becoming a writer. 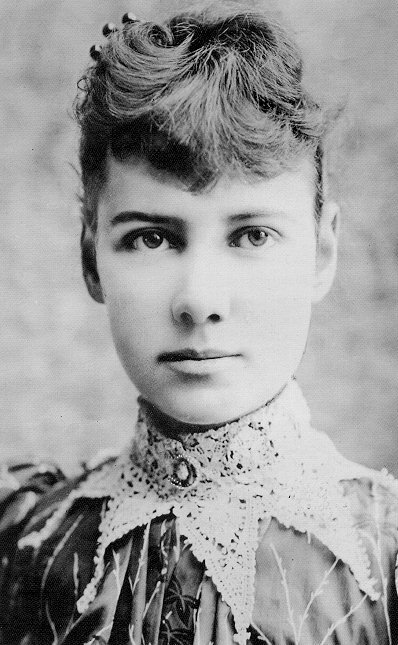 After writing an anonymous letter to a newpaper editor, Elizabeth was hired as a freelancer for the paper, writing under the pen name “Nellie Bly.” Infiltrating the Blackwell Island Women’s Insane Asylum, Nellie Bly exposed the poor treatment suffered by the mentally ill as well as fighting for many other social justices.